New books by Haruki Murakami get me excited. I look forward to them like Christmas. I wait for months, curse the slow pace of the translators and wonder why they don't get on with it... Poor Philip Gabriel, I bet he doesn't deserve it. To make up for all those bad, impatient vibes, I am utterly grateful to the talented translator when I finally get my hands on the book. 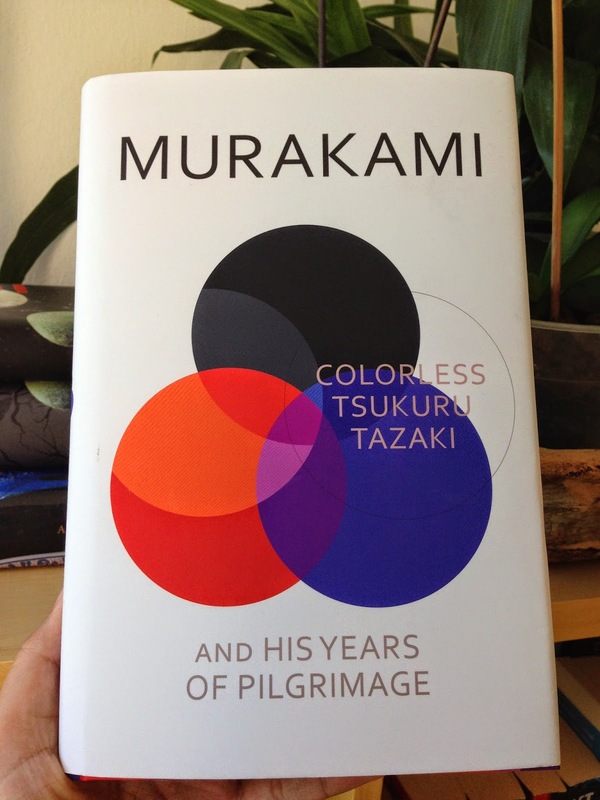 Without translators I would miss many sources of joy in my life, like Murakami's next book. For those of you who have never read Murakami let me say that he is the master of what my teens call "random". Many things happen to children and teens that in their world have no explanations and no resolutions. From a comment uttered in the school hallway, to a song on the radio at just the correct moment for a cry, to a divorce. My teens will label great and small as random... As an adult I like to imagine that random does not happen to me. I know why things happen, I know that I happen to others (I am a happening woman) and I often know the consequences...yeah right. Murakami says yeah right too but with a lot more style. Sometimes what I would describe as magic happens and suddenly the character is in an alternate world. Sometimes a character has an unexplained talent, like the ability to talk to cats (which in another format would qualify as a mutant but I am not going to get into my cross novel cross character fantasies). And sometimes all your friends in the world abandon you without explanation at the same time, as is what happens to Tsukuru Tazaki. Most of us have the fear of losing someone or something, even if it is only the fear of losing the cat. So Tsukuru is left in a cloud of fear, despair, confusion and deep sadness. He is certain that there must be something wrong with him. My sympathy for Tsukuru is sincere, I wonder as much as he does what happened; I admire what he makes of his life and of his emotional life. So the courage he shows to resolve his personal mystery and eventually to face so many uncertainties in his life like the uncertainty of love (one of the worst in my opinion) is exhilarating and absorbing. In spite of being a big fan of fantasy and the convoluted solution to a complex problem, this time I am reminded of the fact that true courage is the courage to identify a problem and face it without magical swords. I would rather face a dragon than face what Tsukuru faced when he identified his problem. With a dragon, you are quite certain of your enemy. In Tsukuru's case the enemy could very well be himself. For those of you who read '1Q84' and are worried, this book has a different tone, pace and environment. '1Q84' is challenging in its premise, characters and setting. Tsukuru Tazaki is more a straight forward problem and a terrifying solution. Read it and let me know what you think. My favourite is still 'Kafka on the Shore', but I think this one is number 2.